Prices will vary depending on the Age, Condition and type of Ride On Mower chosen. At The RedShed we always have a great range of quality second hand Ride On Mowers available. *Please note our second hand ride on mowers are always changing. 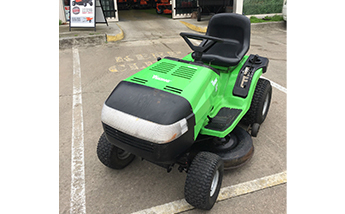 The good news is that at any given time we have a varied selection of second hand ride on mowers and you are sure to find a great bargain!